So far, the trip has been an amazing experience I have really enjoyed working with the children as it was lovely to see how excited they got over the activities we did with them and small things such as bubbles and stickers. We visited an elephant safari which was amazing where we were able to see a very wide range of amazing wildlife such as elephants, buffalos and deer. I am really looking forward to continuing working in the schools. The start of this trip has been amazing. It has been really interesting seeing a different culture and seeing new things. Everyone we've met has been so friendly and the children were very welcoming. It was lovely to see how happy even the smallest things made them. I am excited for the next few days and meeting more of them and learning more about their lives. Our first day arriving in Sri Lanka was an eye-opener to what the rest of our trip would consist of. We were welcomed with friendly faces that were willing to participate in our journey alongside Ocean Stars Trust. Although the heat is something we're not used to in the UK, the fun activities have enabled us to forget about how hot it is slightly. The elephant orphanage, tea plantation, temples and safari are memories that we are going to treasure and never forget. 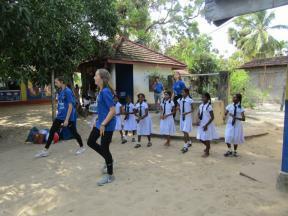 Our first day in the link school with the children was an experience. It enabled us to have an insight into their culture and everyday lives. Everyone was so willing, friendly and welcoming. So far this trip has shown me many experiences such as the life and culture, the tourist attractions that are available; like a safari, elephant orphanage and tea plantation, and also the students. I think that volunteering in the schools today has been beyond amazing and I've realised how they have so little but so much more happiness than us. The energy in the classrooms was incredible and I look forward to making many more memories like today over the next week. During this trip, I've really enjoyed all the once in a lifetime opportunities such as seeing elephants, monkeys and a range of more animals native to Sri Lanka. Whilst teaching it has been an eye opening experience seeing how grateful the children are for little things such as bubbles and even high fives! I can't wait for the next days to come to teach more children and get to know them and their lifestyle. I've really enjoyed every moment teaching in these schools and experiencing what their lifestyle and culture is like. The tourist parts of the trip have been exciting and an eye-opener. I've learnt so much and now begin to understand how the charity is helping the schools develop in order to educate. The students at the school are welcoming and energetic as they give everything a go and aren't shy. It made me realise that they appreciate the smallest things that we at home take for granted. It'll be something I'll never forget. It was lovely to see the excitement and huge smiles on the faces of the children today and their gratitude for the receipt of simple presents and stickers etc. Our students also enjoyed the experience and personally I feel very proud to have been part of the process that has put the two groups together. It is tragic that this region suffered so much devastation but it is also a testament to the resilience and compassion of fellow human beings that this is a place of growth and, often, considerable joy even though the landscape never lets you forget the legacy of the tsunami. Today was quite magical. 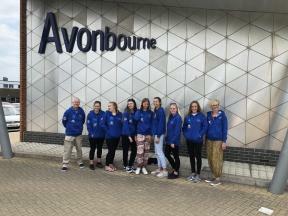 To see the expressions of delight on the faces of both the Sri Lankan students and the Avonbourne volunteers clearly showed how rewarding the experience was for all. To teach these wonderful young children was a privilege and a lesson in itself. They were so very happy playing simple playground games and engaging in things like colouring that it made us all stop and think about what we take for granted in our daily lives. This trip is more than an experience it is the beginning of a journey where through reflection we will hopefully become better than we were before. We have had an amazing couple of days touring around and enjoying stunning scenery, sampling tea, learning about herbs and spices, visiting the spectacular Kandy temple and eating a wide variety of curries. The wildlife safari was truly stunning – sea eagles, water buffalo, elephants and their young, chameleons and monkeys to name but a few. Now we have arrived in Batti and have spent the day working with two schools in an area which suffered far-reaching effects of the Tsunami and the civil war. A truly humbling experience seeing how these children live and how few resources they have. In spite of this, they were all friendly and welcoming and excited by our visit. I really enjoyed teaching in the schools today, all of the children were so welcoming. It was eye-opening because the children were so enthusiastic and valued the time we spent with them despite having so little. 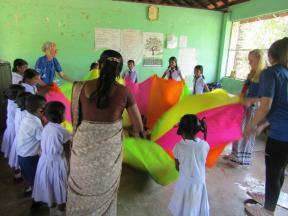 The parachute games were a highlight for me as all of the kids got involved. It was nice to see them so excited and happy. I feel really grateful for all I have at home as these children don't have the luxuries that I do. Also, I enjoyed the safari, seeing the elephants in the wild was amazing. Really excited all sorted out, just need to get some sharpeners. Buying some last-minute clothes and I am really excited to go! I am really excited and ready to go. I can not wait! 35 days! I feel happier now that we went over the packing and flight. I'm excited even more because of this. Can't believe it's only 35 days! Looking forward to going. I'm very excited about the trip with just over a month away it will be amazing. The trip should hopefully live up to my expectation. Can't wait. 36 days to go! I'm so so excited and I'm feeling fairly prepared so that is good. Just need to pack now! I'm really excited about the trip, can't wait! I'm really looking forward to spending time with everyone and experiencing the Sri Lankan culture. I'm ready to go. I'll start packing soon. I need to think more about fundraising. I can't wait to eat white rice. It's going to be really fun and it feels like its still months away. 35 days to go! Really looking forward to going to Sri Lanka and can't wait to go. It's getting really close to leaving now! Only 35 days! We got our t-shirts and hoodies today which was very exciting! Our fundraising is going very well as we are over £10,000 now. I am so excited only one meeting left, today we got our hoodies and t-shirts and I am so happy with our total, I am more than ready to go now! I'm feeling very, very excited and it's 35 days away. We have got our tops and jumpers. We are just getting the last few bits for our activities! 35 days! In today's meeting, we finalised everything. 35 days now and we have raised £11,000. We are so excited and cannot wait till we go! Whoop whoop! Yay! Let's go! Go to remember that I PACKED MY BAG and NOBODY PUT ANYTHING IN IT. Arrgh 35 days to go LET'S GO!! 35 days until we go! I have lots of last-minute fundraising to raise some money! It still seems like a lot of work with packing and stuff. I'm excited for the elephants as soon as we get into Sri Lanka! I'm also excited to get on the plane with my friends! Now it's getting really close my constantly evolving lesson plan will have to stabilize. This is what I'm nervous about. But overall it's only excitement remaining. We have now sorted out the packing situation and we are only 35 days away from leaving for Sri Lanka and I am getting more and more excited as the weeks go by. I am still most excited to see and feed the elephants and also to be able to fly with my friends on the plane. Ocean Stars wishes Ailidh Watson a warm welcome as she starts her post as OST intern next week. Ailidh has completed a degree in Politics and International Relations and would eventually like to work in the Charity sector. She is looking forward to learning all about the work of Ocean Stars Trust. Stephen, Phil, Barney and Liam cycle from Lands End to Margate. Stephen and Phil will be volunteering at school projects run by Ocean Stars Trust in North and Eastern Sri Lanka in October and November 2018. 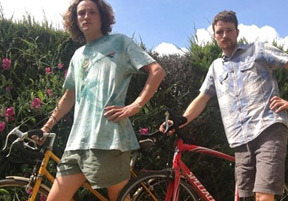 The money raised from this cycle will go directly to the charity to support their vital work running schools for children. Ocean Stars Trust is a charity that was set up in the wake of the 2004 tsunami by Sri Lankan-born Dilanee Bunter to provide education to children, some of whom were orphaned in the tsunami. Often in these areas, the Ocean Stars schools are the only ones in the area and represent a way out of poverty for these children. Stephen and Phil will be volunteering at these schools and teaching English for three weeks in October and November as part of a larger group of volunteers. 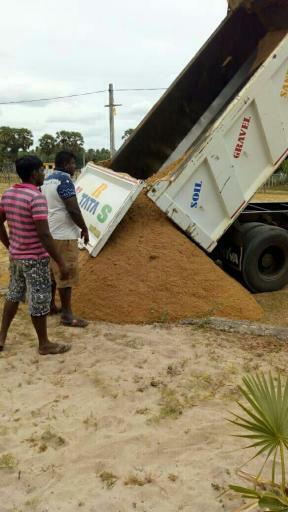 The charity has been set up and is run by Dimithri and Dinesh, two young Sri Lankans who grew up in Colombo, Sri Lanka, but who now live and work in the UK. 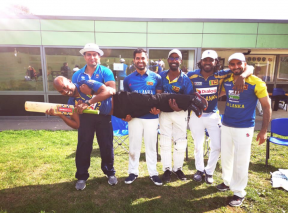 On Sunday the 19th August, Teach Sri Lanka organised a charity cricket tournament which was held at Rowlands Castle in Hampshire. Six teams took part in the tournament together with many supporters cheering on throughout the day. 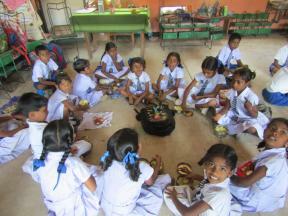 The event was a great success and Teach Sri Lanka managed to raise £1,284. Thank you to everyone who participated and supported this event. A fantastic day's work!!!! As part of our partnership with Teach Sri Lanka, they have agreed to finance and support our Naripulthottam preschool in Batticaloa. The money raised from the cricket match will go a long way towards enabling the 39 children at that school to continue their education. It's a great first step – amazing what can be achieved, when we work together. Having spent the last 8 years in a cramped disused shop for a preschool Ocean Stars are happy to announce that construction has begun to build a new preschool for the 50 children and 3 teachers who attend Chenkallady 1 preschool. Thank you to our supporters for making this happen. 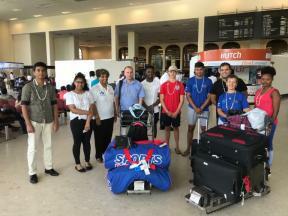 After months of planning, Team 2 for the Ocean Stars Trust July visit met for the first time at Colombo airport this morning, greeting Dilanee, Dan and Sandra as they arrived from the UK. 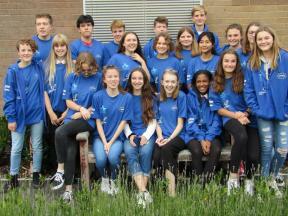 Our team is not complete, with Wendy and Thomas plus the Avonbourne students (Team 1) arriving in the next few days. We will all meet in Batticaloa on Sunday. Below are some reflections from Team 2 volunteers at the beginning of trip, a busy few weeks to come! 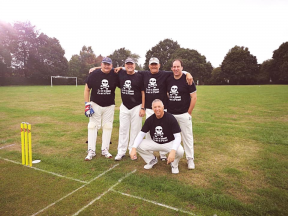 Follow this blog for updates from both teams in the next few weeks. 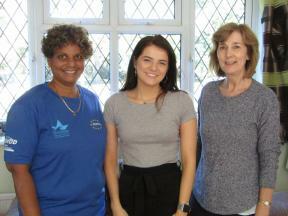 Visiting tourist sights and volunteering with Ocean Stars Trust. The students will be visiting their link schools and have prepared activities to do with the children over the last year. 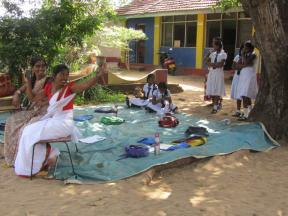 If your school would like a trip if a life time to Sri Lanka please contact us: oceanstarstrust@gmail.com. Group 3 on the way! 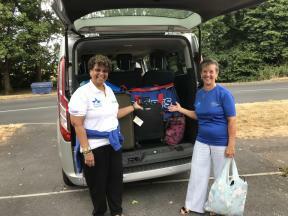 Sandra and Dilanee are off to Sri Lanka today to visit Ocean Stars projects in Sri Lanka. They are the third of five groups with a total of 25 volunteers travelling to visit Ocean Stars projects over the next 2 weeks. The teams will be visiting Yatiyanthota Killinochchi Trincomalee Batticaloa and Colombo. Fleet Methodist Church is holding a Flower festival from 13.7.18- 15.7.18. Come along and and have a look at the beautiful displays celebrating the Milestones of life. 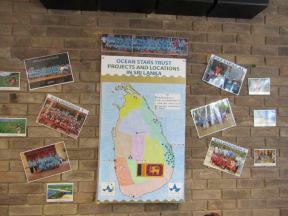 Ocean Stars has also got a display celebrating the work of the charity over the last 14 years.